As most people looking for technical talent know, in the U.S. there is full employment in the tech space. In addition, it is very difficult to hire foreign tech workers as the government makes workers and employers jump through hoops to get tech talent into the country. I, like many, believe having the strongest technology workforce is one of the key ways for the U.S. economy to remain competitive. Consider the fact that founders of Google were not born in the US and moreover, Google is responsible for thousands of new jobs in this country. In addition, there are many major corporations which were founded by or are headed up by foreign workers. We need to allow the best and brightest worldwide to easily join the U.S. workforce. These workers are essential in allowing the country to remain competitive. If this problem isn't bad enough, the US school system is in shambles when compared to other countries. Although I am U.S. born, my family comes from Iran and I would have to say the Iranian school system was at one point about three plus years ahead of US schools. This means a second grader in Iran was on par with a fifth grader in the U.S. Mind you, my experience was before the Iranian revolution which took place in 1979. When I visited Iran in 1975 it was like visiting the third world. Dirt roads, cars that didn't run too well, and a host of other challenges. Still, with all these problems, the country knew enough to make their students work hard and study. I remember my cousins who were seven and eight doing hours upon hours of homework. I couldn't believe it. I should also point out that there is an aversion to technology, math and science among U.S. citizens. This is a sad reality. I hope the situation changes but it doesn't seem to be happening. Perhaps a slow down in the real estate market will drive more people into these areas but it isn't like you can pick up programming, differential equations or semiconductor design overnight. In the mean time, large companies will continue to hire technical talent in other countries and smaller companies who aren't able to easily hire overseas will have trouble starting companies or growing in the U.S. These two groups of companies are exactly who we need to hire and increase employment in a slowing economy. Instead of helping these companies, the government is giving us all tax rebates which will act as a very short term fix for the economy. Too bad this money wasn't spent ten years ago to help address this problem. Had this course of action been taken, we might have even solved this issue by now. Of course my experiences pale in comparison to some of the world's largest software companies who are looking for technical talent. Bill Gates lives this experience and reiterates the concern that U.S. schools are far behind the rest of the world. Education has always been the gateway to a better life in this country, and our primary and secondary schools were long considered the world's best. But on an international math test in 2003, U.S. high school students ranked 24th out of 29 industrialized nations surveyed. Do you want to send your kids to public school with numbers like this? Make no mistake... These low test scores coupled with immigration issues are the makings of a technology staffing crisis. Many politicians complain that jobs are moving overseas and they need to realize the best way to increase the number of employed U.S. citizens in the long term is to allow more immigrants to fill vacant tech positions and over time ensure our schools get better... Much better. This may sound counterintuitive but the more technology workers we have in the U.S., the more companies will be started and the more technology employment will take place. But there is still a lack of technology interest among Americans and to solve this problem I suggest we ramp up the number of math, science and technology courses in public schools. I propose adding more time to the school day to make this happen. How about two additional 45-minute courses a day in these areas, starting in first grade? In addition, to get more people interested in technology careers right away, how about government sponsored scholarships in technology, science and math? It is time we stop glossing over these problems and to come up with solutions that work for the long-term. We should do this for our children and their children. It just seems so ironic that instead of working to retrain the United States workforce in areas where abundant jobs exist, we give out free money to all. It would be much more beneficial to entice many to take up jobs which seem to have very bright futures and pay very well. I invite you to read an article by Bill Gates on the matter for more details. \nI, like many, believe having the strongest technology workforce is one of the key ways for the U.S. economy to remain competitive. \nConsider the fact that founders of Google were not born in the US and moreover, Google is responsible for thousands of new jobs in this country. In addition, there are many major corporations which were founded by or are headed up by foreign workers. We need to allow the best and brightest worldwide to easily join the U.S. workforce. These workers are essential in allowing the country to remain competitive. \nIf this problem isn't bad enough, the US school system is in shambles when compared to other countries. \nAlthough I am U.S. born, my family comes from Iran and I would have to say the Iranian school system was at one point about three plus years ahead of US schools. This means a second grader in Iran was on par with a fifth grader in the U.S. Mind you, my experience was before the Iranian revolution which took place in 1979. \nWhen I visited Iran in 1975 it was like visiting the third world. Dirt roads, cars that didn't run too well, and a host of other challenges. Still, with all these problems, the country knew enough to make their students work hard and study. I remember my cousins who were seven and eight doing hours upon hours of homework. I couldn't believe it. \nI should also point out that there is an aversion to technology, math and science among U.S. citizens. This is a sad reality. I hope the situation changes but it doesn't seem to be happening. Perhaps a slow down in the real estate market will drive more people into these areas but it isn't like you can pick up programming, differential equations or semiconductor design overnight. \nIn the mean time, large companies will continue to hire technical talent in other countries and smaller companies who aren't able to easily hire overseas will have trouble starting companies or growing in the U.S.
\n These two groups of companies are exactly who we need to hire and increase employment in a slowing economy. Instead of helping these companies, the government is giving us all tax rebates which will act as a very short term fix for the economy. Too bad this money wasn't spent ten years ago to help address this problem. Had this course of action been taken, we might have even solved this issue by now. \nOf course my experiences pale in comparison to some of the world's largest software companies who are looking for technical talent. Bill Gates lives this experience and reiterates the concern that U.S. schools are far behind the rest of the world. \nDo you want to send your kids to public school with numbers like this? Make no mistake... These low test scores coupled with immigration issues are the makings of a technology staffing crisis. \nMany politicians complain that jobs are moving overseas and they need to realize the best way to increase the number of employed U.S. citizens in the long term is to allow more immigrants to fill vacant tech positions and over time ensure our schools get better... Much better. \nThis may sound counterintuitive but the more technology workers we have in the U.S., the more companies will be started and the more technology employment will take place. \nBut there is still a lack of technology interest among Americans and to solve this problem I suggest we ramp up the number of math, science and technology courses in public schools. I propose adding more time to the school day to make this happen. How about two additional 45-minute courses a day in these areas, starting in first grade? \nIn addition, to get more people interested in technology careers right away, how about government sponsored scholarships in technology, science and math? \nIt is time we stop glossing over these problems and to come up with solutions that work for the long-term. We should do this for our children and their children. \nIt just seems so ironic that instead of working to retrain the United States workforce in areas where abundant jobs exist, we give out free money to all. It would be much more beneficial to entice many to take up jobs which seem to have very bright futures and pay very well. 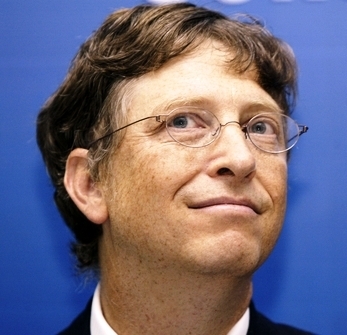 \nI invite you to read an article by Bill Gates on the matter for more details.